When you read an angsty story, do you automatically presume it will end in an HEA? Or do you hold your breath as you’re rounding the final bend? gut wrenching, how could this possibly end in an HEA or does it? – type fic! sizes and not all are able to redeem themselves. please keep us guessing until the very end. April 15th – May 15th. Public voting begins May 16th and ends May 25th. Results will be announced on June 1st. witter or in your current wips. Thank you for helping us get the word out!! 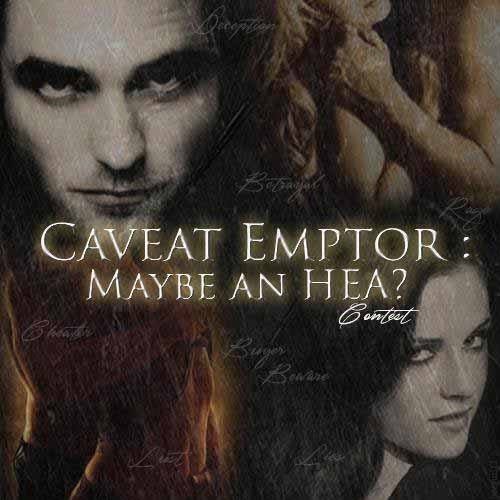 Were you’ll read only Twilight Cheat Fic’s, Pdf downloads. And Pulled fic’s. her way through various rites of passage, Bella can’t help falling prey to nostalgia. mid-life attempt to reclaim it. ExB, AH, mild angst, M-Rated 18 & over. she plans to turn her life around. Will she find happiness?